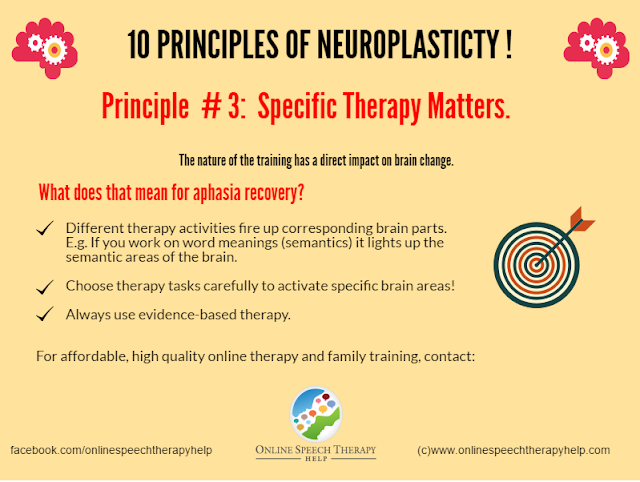 The third principle of specificity! This pertains to the exact nature of training and therapy. We now have evidence to show that what we do in therapy is directly correlated with brain plasticity. The changes in the brain only happen exactly based on what is trained. There are no diffuse effects.